Thank god for Whole Foods. Makes my life easy after CrossFit- especially when we have no food in the fridge. 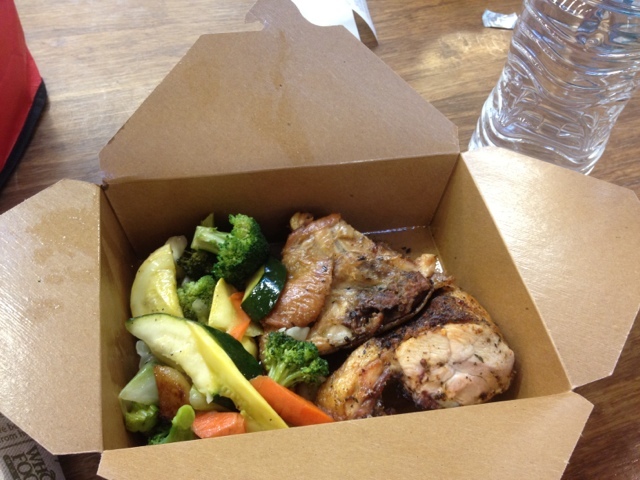 We went today after our WOD and I got some baked chicken and veggies. I also bought a delicious pork roast were going to have for dinner tonight- I will post the recipe later on!